There’s nothing like sipping on a cold, handcrafted drink while listening to local musicians and enjoying a million-dollar view. 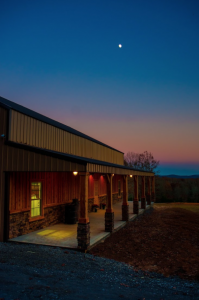 And the best part is that it’s all right here at Wilson County’s Jug Creek Distillery, thanks to Heath Frazier and Kyle Luttrell. Friends Frazier and Luttrell both had successful careers in the medical industry, each with a master’s degree in nursing. However, their love of science took them in an unexpected direction: They wanted to open a distillery together. “I had a dream of creating something totally different from what’s out there today,” Frazier explains. He had made wine and beer at home but wanted to learn more about the distilling process to further that dream. He also went to Moonshine University in Louisville and talked with other distillers to learn tricks of the trade. “There’s kind of a brotherhood with other distillers,” he says. 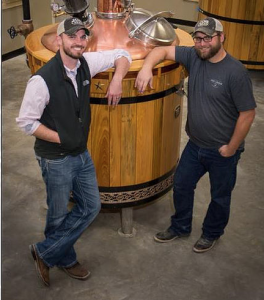 Frazier and Luttrell joined that brotherhood when they founded Jug Creek Distillery in 2015. About a year after that, Frazier decided to leave his job in the healthcare industry and focus on his passion for distilling full time. What was once a hobby for Frazier and Luttrell became the stunning distillery that stands today. As for where they wanted to break ground and open their distillery, the answer was pretty clear. 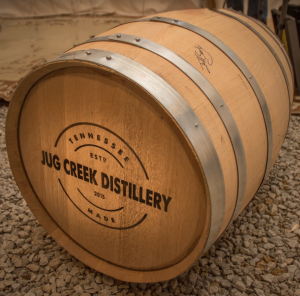 So after two years of work and planning, they opened Jug Creek Distillery in Wilson County in January of this year. The distillery features chandeliers from the Gaylord Opryland, an old doctor’s buggy, items from local artisans, a moonshine still and other repurposed items that add to its homey feel. And their spirits are the cherry on top. 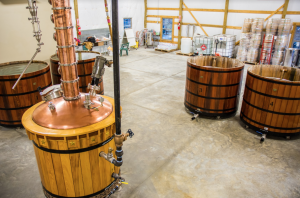 Instead of backing away from the smells and tastes of spirits, which can be a common sight at some distilleries, people don’t have that reaction to Jug Creek’s handcrafted drinks, Frazier says. “You’ll find something you like with one of our products,” he adds. They have specialty liqueurs like Gran’s Banana Pudding, Grand Dad’s Coffee Creamer, Wicket Chocolate Cranberry and Wicked Chocolate Cranberry Oaked. As for liquors, they create Wilson County Whiskey, Cedar’s Ultra-Premium Gin, Tennessee Pecan Pie and a smooth vodka. One way people can sample their spirits and learn more about how a distillery works is with their tours. Frazier says they educate people on the science behind the distillation process and show them how they make their spirits. They’ve had people from across the county and world come check out the distillery. Frazier leads the tours, which is rare to have the actual distiller readily available for questions. “You don’t have to pay extra for that,” Frazier says with a laugh. Their spirits aren’t only catching on with locals, but they are also gaining attention globally, winning numerous awards. “Even though we’re young, we’ve been making waves in the competition world,” he says, with four of the six products released winning awards. But there’s more to this distillery than their tours and awards. They’ve started having live music and food trucks at the distillery, so people can come out with their lawn chairs and enjoy a relaxing day. Frazier says people can rent the venue for special events, and they’re working on an outdoor amphitheater. They also hope to have a pumpkin patch on the grounds in time for fall. All ages are welcome at the distillery, and Frazier says both his and Luttrell’s children are there all of the time. They’re even installing a playground. “We want it to be a family environment,” he says. They offer tours, tastings and their unique cocktail menu Wednesdays (by appointment only), Thursdays from 11 a.m. to 7 p.m., Fridays and Saturdays from 12-8 p.m. and Sundays from 1-6 p.m. Tours are $10 per person and free for children 12 and younger, and the last tour of the day begins at 4 p.m.
Jug Creek Distillery is located at 1049 Oregon Rd. in Lascassas. 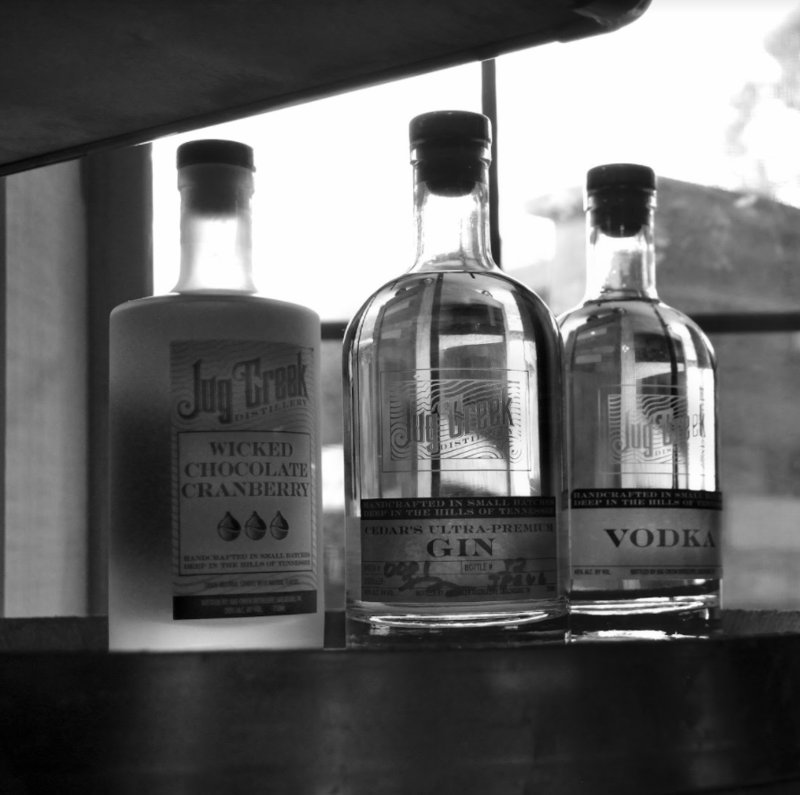 For more information on Jug Creek Distillery, visit Jugcreekdistillery.com.